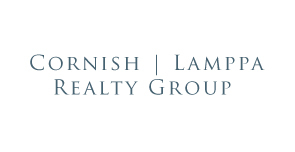 The Cornish Lamppa Realty Group is a team that was formed to provide the most informative and satisfying real estate experience for its clients. As a result of careers steeped in Teton County Real Estate Valuation, Andrew Cornish has been able to facilitate access to the Rocky Mountain Appraisals Sales Database. This unsurpassed real estate database that is relied upon by Teton County’s largest and most experienced valuation firm, Rocky Mountain Appraisals, is now at your fingertips courtesy of the Cornish Lamppa Realty Group. As data is nothing without correct interpretation, Andrew Cornish and Todd Lamppa’s experience are integral to your success in the acquisition or disposition of your Teton County real estate, whether you are a life-long resident or visiting the valley for the first time. Andrew is a native of Westport, Connecticut who, after receiving his Bachelor’s Degree in Economics from Middlebury College, decided to explore the Western United States. This exploration was cut short by the discovery of Jackson Hole, which instantly became home. Andrew has worked in real estate in Jackson since 1991 when he obtained his real estate sales license. 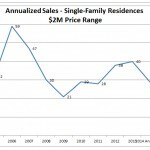 For the first ten years of his career, Andrew focused on the valuation side of real estate. He obtaining his MAI and SRA designation from the Appraisal Institute while founding Rocky Mountain Appraisals. 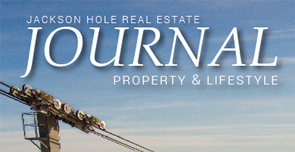 This firm grew into the most respected real estate valuation firm in Teton County, Wyoming. His skills and real estate insight became in demand to facilitate the sale and acquisition of the real estate. This demand resulted in the formation of Brokerage of the Tetons, a full service real estate brokerage. Andrew is a past member and officer of the Board of Directors of Teton County Multiple Listing Service. He is also a former president of the Wyoming Chapter of the Appraisal Institute. Andrew’s recreational interests include skiing, fly-fishing and coaching soccer. 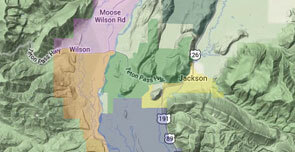 However, his favorite time is spent sharing the beauty of Jackson’s natural surroundings with his wife. Sara Cornish is a partner in the local law firm of Mullikin, Larson and Swift. Andrew has two children, his son Jack (13) and daughter Andie (12). Todd Lamppa originally hails from Lower Michigan where he graduated from Flushing High School in 1991. During his youth, Todd spent his summers working at the family lodging business on the rocky shores of Lake Superior in Copper Harbor, Michigan. He graduated from Northland International University in Wisconsin with a Bachelors degree in Biblical Studies. Todd married in 2000 to his wife Jennifer and they moved to Jackson, Wyoming in 2002. He has a background in residential construction, resort lodging, real estate sales and residential development. Todd is an associate broker licensed in both Idaho and Wyoming and has been selling real estate since 2005. Todd is also a certified Wyoming Residential Appraiser with Rocky Mountain Appraisals and has been valuing real estate in the Jackson Hole area since 2009.